Getting ready for a camping trip should be fairly easy and simple if you know the basics, because ultimately, camping trips are all about complete relaxation. You are taking some time off and heading up to the mountains for some well-deserved rest. However, in order to have a good night’s rest on a spot that doesn’t offer a king-size bed. 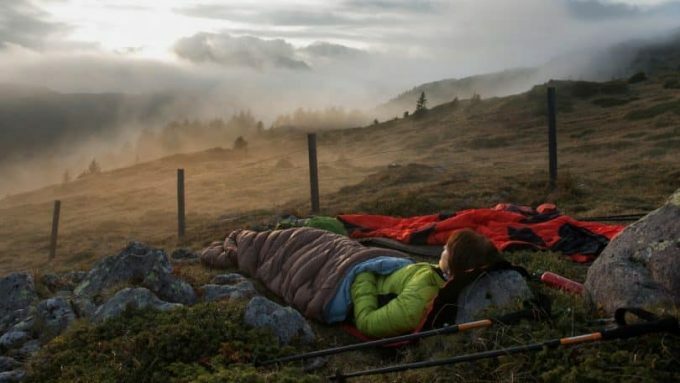 There is one thing you need to carefully consider before venturing out: your sleeping bag. Finding the right one for you can be a bit more challenging than anticipated. 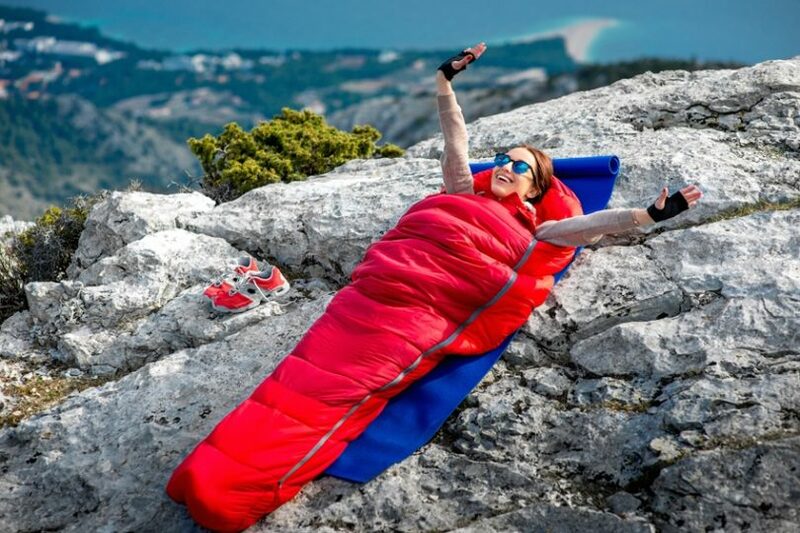 In a tight race, even among the most experienced campers, the question is: If compared – down vs synthetic sleeping bag – which one will be the winner? It might seem like a decision innocent enough – go into a store and pick one, right? After all, how hard can it be? 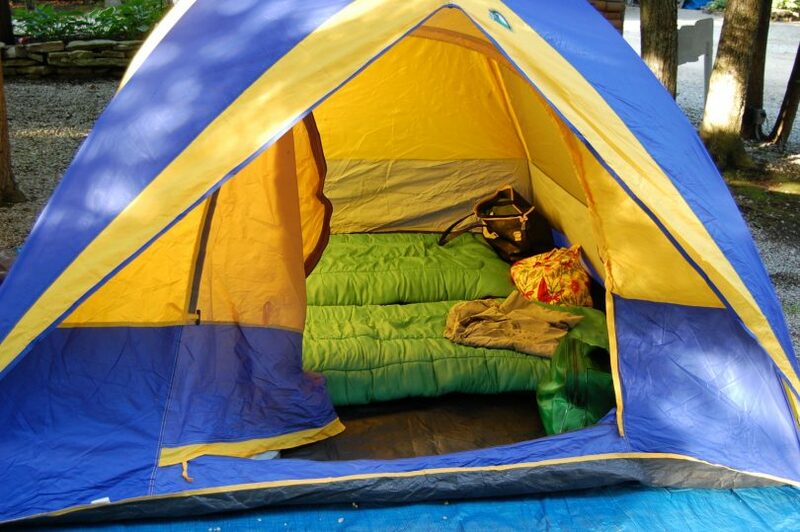 Some people even think a tent and a couple of blankets might do the trick for the weekend’s getaway. You can check out our piece on how to choose the best tent heater to make your stay warm and toasty. But, if you buy the wrong bag – or don’t buy one whatsoever – you’ll end up either freezing in the middle of the night or sweating your way through. In order to make the right decision, there are a few things you need to keep in mind. It’s a well-known fact that when sleeping, your body cools down. Logically, the best advice would be to buy a bag that would keep you warm enough when the temperatures drop. That is why, when buying a sleeping bag for your next camping trip, it’s crucial to pay attention to the insulation, or the so-called “fill” of the bag. The fill is not something offering you the warmth, but it is rather the thing that won’t allow your body to lose heat rapidly and cool down while sleeping. Very important when spending a night out in nature, right? The type of insulation you are buying is going to influence the general experience of the bag over several aspects: the warmth, the weight, the durability, the price, and last but not least, the water resistance. 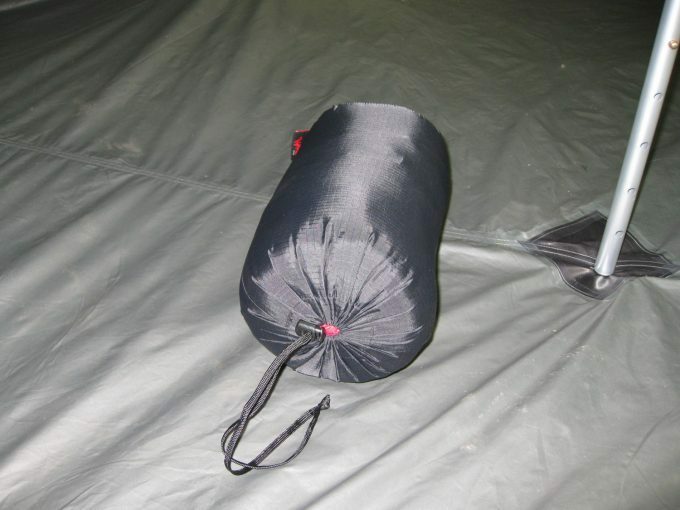 Bearing that in mind, there are two main types of sleeping bags depending on the material used for the fill. 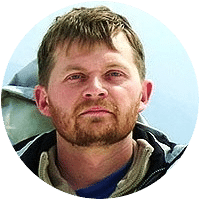 It is a fairly common misconception – even among experienced campers – to think that the down insulation used in the sleeping bags is made out of bird feathers. That is not true. Actually, the down is the soft, fluffy stuff underneath the feathers of geese, ducks, and other waterfowl. It serves as an undercoat and it is one of the top notch insulators nature has to offer. 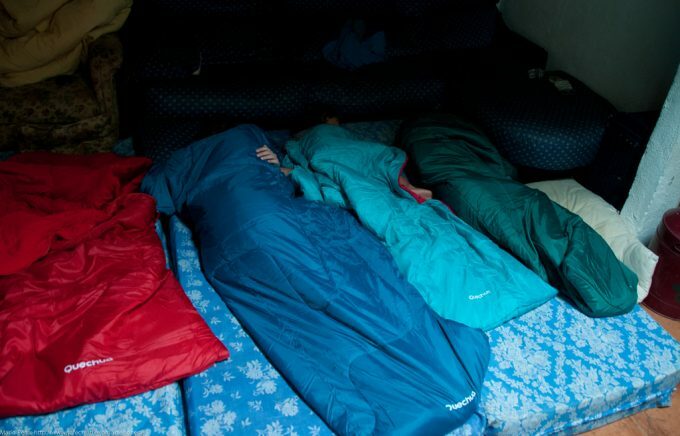 Even though some manufacturers might decide to include a mix of feathers and down in their sleeping bags, the majority still complies with the rules and mostly, geese and duck down is used. The down works as an insulator in a way that it creates high-loft clusters and those clusters are responsible for trapping air and body heat inside, meaning it will take your body longer to cool down. As far as the advantages go, looks like there are quite a lot when it comes to down. To start with the warmth issue, down is a natural insulator and no doubt, one of the best natural insulators you can get. Not only it will keep you warm, but it is characterized as extremely breathable, which will allow any unwanted moisture to evaporate from your body. That means you won’t wake up in a pool of sweat. In the past few years, a lot of people opt for natural products and would rather avoid using anything artificial. In order to fill the needs of customers who care enough for this, some brands offer down that is “traceable”, meaning that the birds from where the down came from have been humanely raised and treated. Even though down is not technically the same as feathers, they do share a common trait – both are extremely light. That leads to another advantage of using down, meaning you won’t have to worry a lot about carrying some extra weight on your back. On top of that, down bags are soft and very easy to pack because they are mushy and easily allow to be compressed even in the tightest of spaces.However, don’t be fooled into thinking they might be too delicate to last long. Be sure to wear appropriate clothing. See our piece on the best and warmest base layer for you to wear to stay cozy. Down is best known for its long durability. If you are thinking about investing in a sleeping bag that would last you for a while, then have no doubts, down is the way to go. 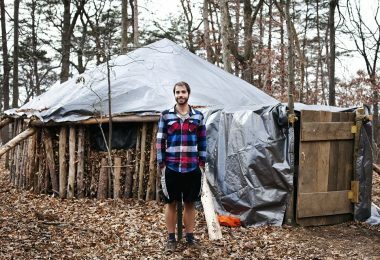 Campers are reporting that when properly taken care of, a down sleeping bag can even last you for decades at a time, managing to serve its purpose even in the harshest conditions. When it comes down to being water-resistant, seems like this is one of the biggest disadvantages of down. If it gets wet, it will become a soggy and lumpy mess, as well as lose its ability to retain heat trapped inside. It is worth pointing out that it might take a while for it to dry and get back in its primary shape. This means that if you get caught up in the rain while camping in the middle of the forest, down won’t do much to protect you. 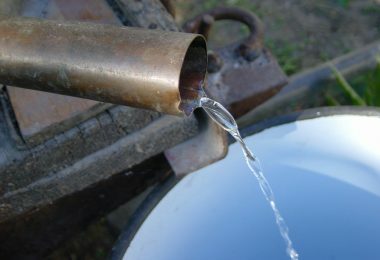 That is why it’s for the best to use down in dry weather conditions or when you are absolutely sure there won’t be any rain or water nearby (take it into consideration that even wet ground can be troublesome). Remember that even though some companies produce down that is water-resistant, unfortunately, that does not mean it is waterproof – it might refer water for a while, but it will get wet eventually. Another thing that is making campers think twice before buying a down sleeping bag is the price. Using natural materials, such as down, to fill the insides can be costly and it sure won’t come cheap. 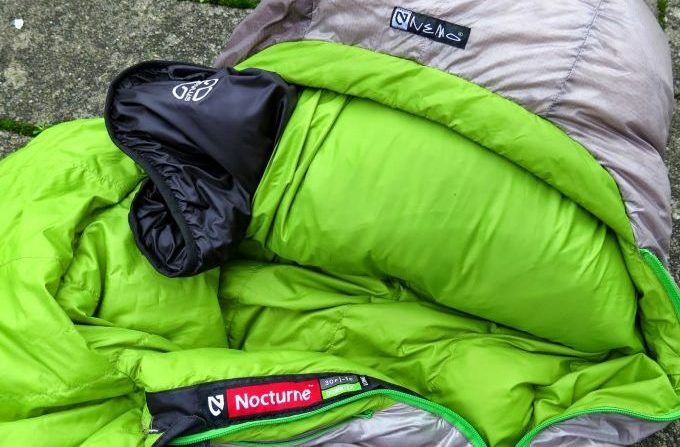 If you’re buying sleeping bags on a budget and you’re not worried about the durability – maybe just something that you can use once or twice per year – then the synthetic one may be a better fit for you. It is worth pointing out that for some people, down can be allergenic. Make sure you are not allergic to it before making the big investment! As the name itself implies, the synthetic sleeping bags are made out of artificial materials, most often polyester. Synthetic mimics the characteristics of the down and acts as an insulant. 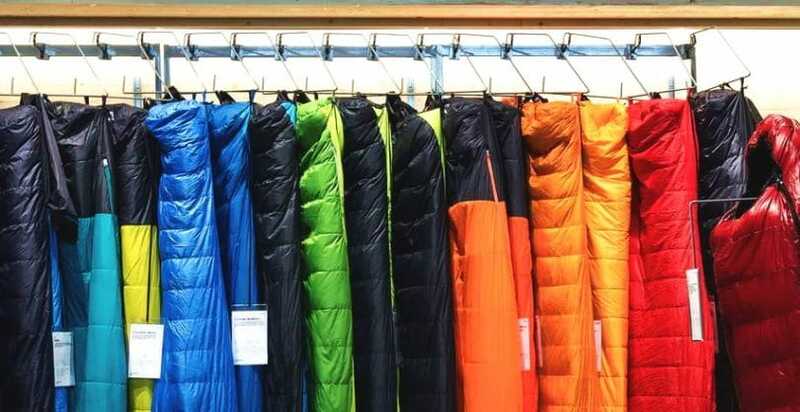 Since there are a lot of brands offering synthetic sleeping bags out on the market. If you decide to buy one and you’re debating over which one to get, the main distinction should be between the short-staple and the continuous filament insulator. The short-staple insulations are filled with fine-denier filaments that allow the bag to be soft and flexible, meaning it’s more compressible. However, the filaments can sometimes move around on the inside and create cold spots. The insulations featuring continuous filament are a bit loftier and less flexible, but they last longer. 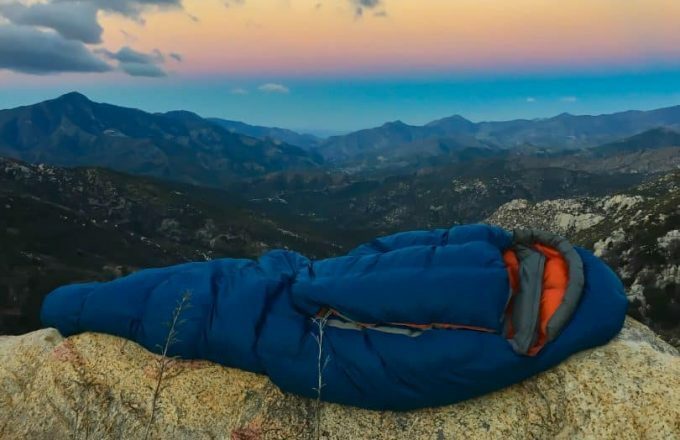 When it comes down to the advantages of the synthetic sleeping bag, seems like all of the disadvantages of the down are the strengths of the synthetic, so let’s start from there. 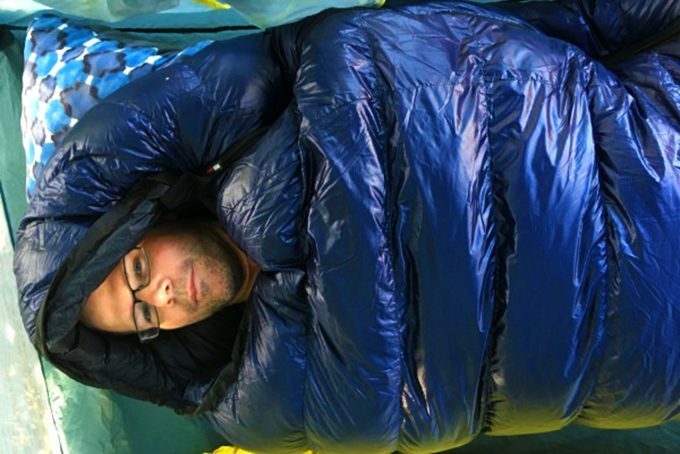 First of all, the synthetic sleeping bags are generally popular among campers for being waterproof. Even if you get caught up in conditions where rain is pouring all over the place and starts dripping into your tent, you can be more than sure that the synthetic bag will keep you dry. It is also good to point out that it takes a lot less time to completely dry out even when they get soaking wet – or when you decide to wash them – and usually, a bag can be completely dry in a day or less. However, don’t forget to pay attention to the seams and make sure they are taped together as well and not only seamed in order to ensure maximum water protection. Another reason why people buy them is the friendly and affordable price. If someone doesn’t go camping a lot and they need to use the bag only several times per year – a beginner or an amateur camper – this is usually their choice. It is sure to keep you warm and dry for the couple of nights away and you won’t have to worry you’ve spent too much on a hobby you don’t practice as often. Additionally, if you are experiencing some allergic reaction with the down, then the synthetic bag is the right match for you.But not all that sparkles is gold. As far as the durability is concerned, the synthetic bags can’t last for decades as the down ones can. After the bag has been used for a while – meaning you’ve packed it and unpacked it a lot – the fibers could start moving around. This can create an uneven surface and multiple spots from where the heat can escape. Unfortunately, this could happen even in the case when the bag has been appropriately taken care of. 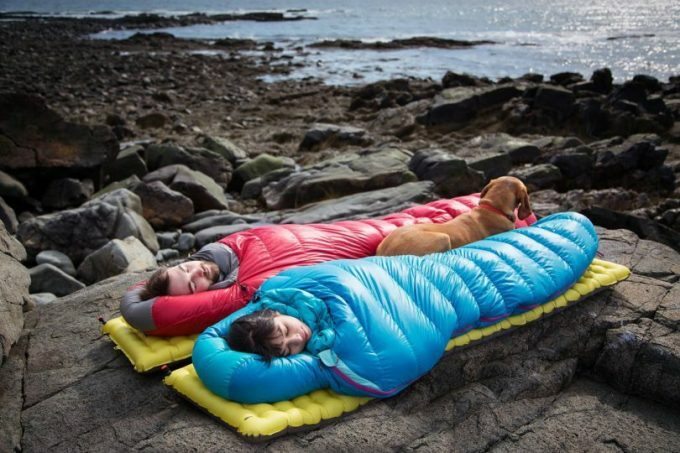 On top of that, these sleeping bags are not as compressible as the down ones. The fibers of the polyester are not as flexible as the down is and that can be tricky if you’re concerned about space. When rolled, they are bulkier and tend to weigh a bit more. 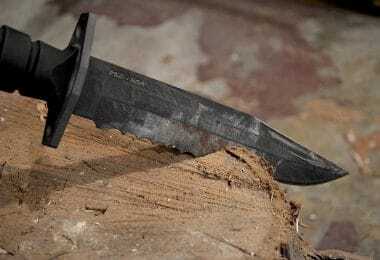 That could be a potential problem if used more often for long hiking trips, where every ounce is very important. To finish off, one last disadvantage of the synthetic bag is the warmth that is offering. Considering the fact that it is not a natural insulator, it will keep you warm, but not as warm. 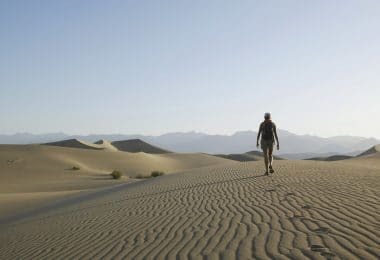 Moreover, if the material is not breathable enough, you are guaranteed to stay dry on the outside, but not on the inside – you’ll wake up covered in your own sweat. 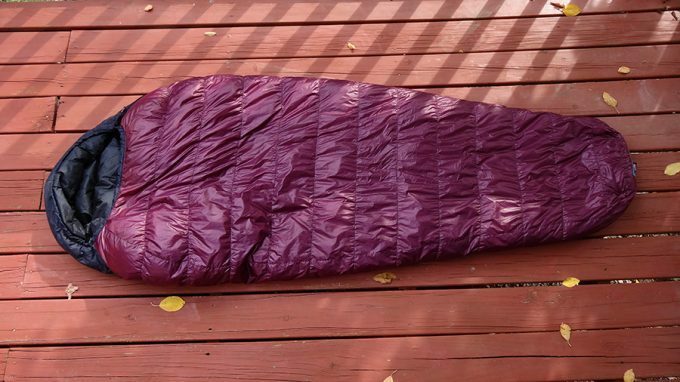 Here’s a chart to show the pros and cons of the synthetic sleeping bag. No matter which bag you decide to buy, there are a few things you should look out for. 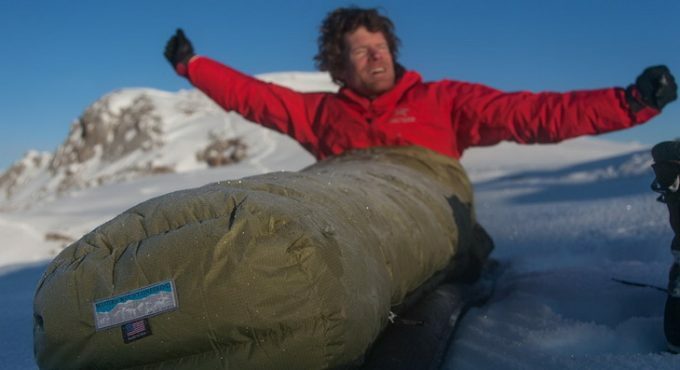 Both down and synthetic sleeping bags come in different shapes and models. While some like to sleep in a tighter fit and keep warmer that way, others prefer to have a bit more leg room even at the cost of not being as warm. Go to the shop fully dressed, as you would when using the bag and see how the materials feel. Is something itching you? Are you cozy enough to fall asleep? If you’re uncomfortable in the store, can you imagine how uncomfortable you’d be in a tent? Don’t forget to check the zippers of the bag as well – see if you prefer zippers on the side or in the front. Some report that even though they’d decided on buying one type, after trying it on and experiencing how it feels, they’d changed their mind and bought the other type. After all, it all comes down to personal preference and comfort. This means that you have to see what works best for you in the specific weather conditions in which you’re actually going to use the bag. Luckily, manufacturers produce summer, winter and three-season bags so it’s easier to choose from. For example, if you go camping only during the warmer months, a synthetic bag that has a zipper that goes around for the whole length – so you can open it up for additional ventilation – may be a better fit for you rather than a puffy winter bag. However, if you go camping during harsh winter months, a thin summer bag won’t help out a bit. Yes, this exists too! Some companies are selling what seems like the best of both worlds – the waterproof aspects of the synthetic and the lightness and warmth of the down combined into one. Seems like the perfect solutions, right? Be sure to ask if they have one and check it out too – it might be just the perfect fit for you! For instance, some of them have synthetic bottoms but soft down on the top, meaning no water can get in from the bottom – especially useful when sleeping on wet ground – and yet you are gently swooshed into a deep night’s sleep with the light down cover on top. No matter the material on the bag you decide to buy, ask the company store to give you some tips and tricks on how to prolong the bag’s durability. Getting a synthetic bag and making sure you take proper care of it might turn out to last longer for you rather than getting a down one and just shoving it in the basement. Each time you’re back from your camping trip. Each brand has its own policy when it comes to taking care and that is for a reason – at the end of the day, they manufactured it so they know its weak points. Some of them might even offer a money return policy in case the bag doesn’t turn out to be as promised. 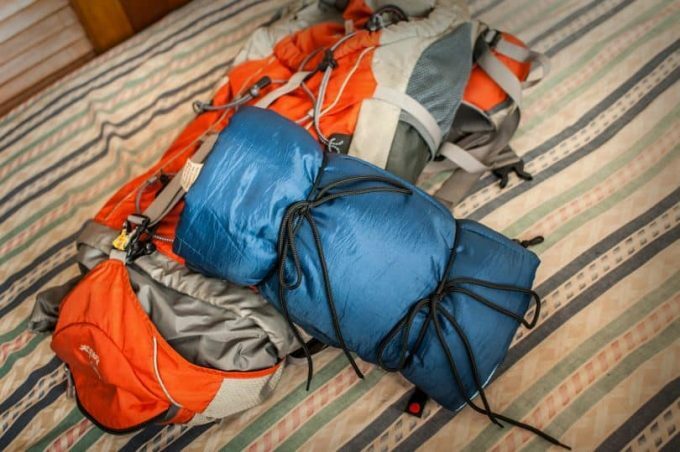 Make sure you get a sleeping pad as well – it will help you keep the bag cleaner for longer. Some campers claim that keeping the sleeping bag in a pillowcase – yes, you read that right, a pillowcase – has prolonged its lifetime. Camping is a great way for many to spend a weekend away from the city and declutter their busy minds. It’s something that will offer you the much needed quiet time and allow you to disconnect from all of your mobile devices and the Internet. You can do it with your friends or with your family or whoever else that you enjoy spending time with – no matter your choice, you can be sure it’s a proven way to spend some quality time together. Nothing brings inner peace as waking up to the sounds of nature and enjoying your morning coffee in front of a blazing campfire. Make sure you also have the right clothing gear, so check out our review of the warmest socks for reference. However, once the temperatures start to drop (and yes, that happens in summer as well!) and you start to freeze in the middle of the night, you’ll wish you had something to keep you warm.So, don’t ruin your trip, take your time to research and find your best fit, and gear up – camping is all about having fun!